Circadian Rhythm is derived from the Latin phrase circa dies which means ‘approximately a day’. It can be simply described as the changes in human behavior and physiology within a 24-hour biological wake period. These circadian rhythms are found in many organisms such as animals, plants or even microscopic organisms. 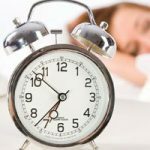 In order to better understand circadian rhythm disorders and work to practice a normal circadian rhythm, it is firstly important to know the ideal mechanism of sleeping and waking up in humans. The mammalian circadian system is controlled by endogenous ‘clock’ genes, which were once believed to be restricted to lower animals. There is in fact a master clock in the brain, in the anterior section of the hypothalamus known as the suprachiasmatic nucleus (SCN). It is involved in clocking cells in peripheral tissues pertaining to the eye, brain, heart, lung, gastrointestinal tract, liver, kidney and fibroblasts. There are, in turn, endogenous clocks present in several of these tissues such as the liver, skeletal muscle or beta cells of the pancreas that are under the control of SCN. Release of certain hormones such as melatonin also plays a role in setting up a circadian rhythm, but they are usually released because of interaction between the physiology of the organism and external factors. 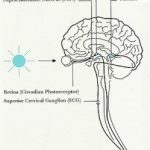 Light plays a very important role in the synchronization of the circadian rhythm, as seen by the fact that blind people have trouble maintaining a circadian rhythm. During daytime, light enters the eye and falls onto the retina. This sends a signal to the SCN which then leads to a cascade of hormonal changes in pituitary, pineal, adrenal and thyroid glands. There are vivid changes seen in alertness, body temperature, pressure, metabolism and reproduction. In absence of light, a different cue is passed and hormones other than those released in daytime may be released, of which the more famous is melatonin, the sleep hormone released by the pineal gland. A secondary factor besides light that influences the circadian rhythm is food. Generally speaking, proteins and fats tend to have a stimulating effect while carbohydrates relax the body, since unlike the former two carbohydrates are much easier to break down to release energy and they slow down the metabolism rate. Other than these two environmental cues, known as zeitgebers, circadian rhythms are affected by hormones and minerals which are indirectly under the body’s control, but should ideally be released in response to the external environment. Some hormones involved with circadian rhythm include melatonin, DHEA, cloistral or thyroid hormones. Vitamin B12 has also been seen as fundamental in maintaining a good circadian rhythm. They can manage their awake and sleep time well so that they have a well-rested night and can wake up on time in the morning. They can practice regular waking and sleeping times if they attempt to. Healthy people can advancetheir sleep phase by an hour, which means that if one slept or wake up a certain hour one particular night, they can sleep or wake up an hour earlier the next day. Healthy people with normal circadian rhythms are seen to have a circadian rhythm of little over twenty-four hours, unlike people with circadian rhythm disorders. 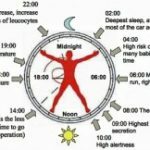 I hope this “Normal Circadian Rhythm” article was helpful to you and you can link what the malfunctions in a person with a circadian rhythm disorder might be and also whether you have a healthy circadian rhythm or not.